This is a Capel Manor project. 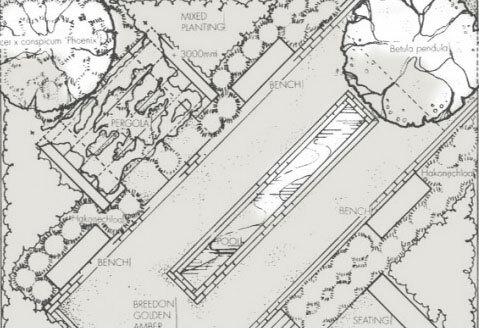 The brief was to design a back garden using a 45 degree angle grid as reference. I created a space using simple lines focal points and contemporary style planting.